With his somber comportment, Castiel seems like a typical angel. But hanging out with demon hunters Sam and Dean Winchesters has humanized him, giving us occasional glimpses of real emotion. This adorable plush figure portrays the Supernatural angel in slacks, dress shirt with necktie and his trademark trench coat - with quizzical look and wings to complete the package. 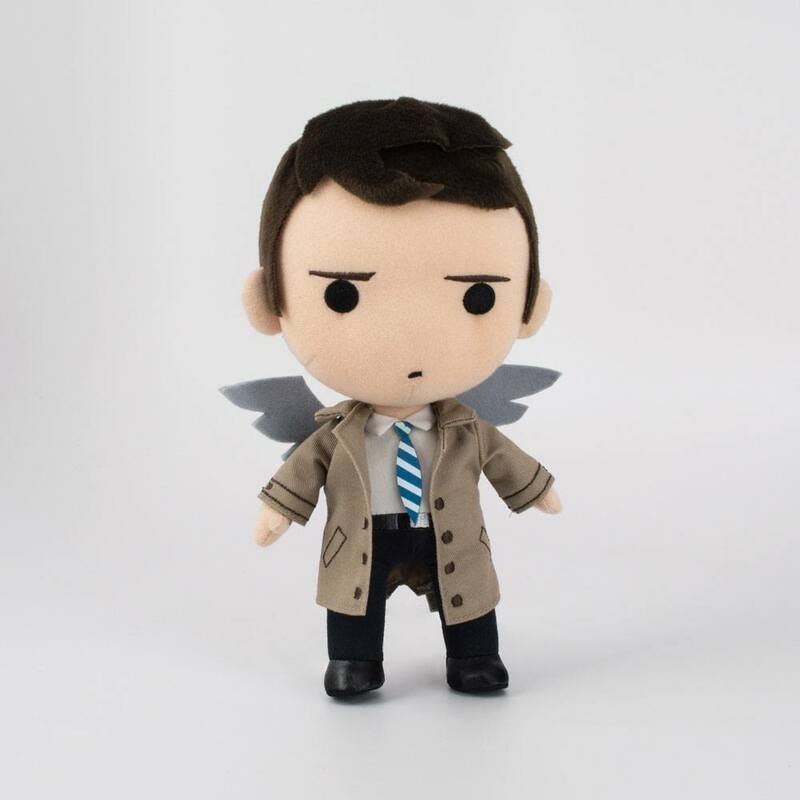 Castiel is just one character in our line of QMx Q-Pals plush figures. Be sure to pick up the Winchester brothers Sam and Dean to help fight the evil spirits that lurk.